GRAFENWOEHR, Germany — Passing a bakery on a hot summer day to grab an iced latte is tempting for almost everyone. Parents to small kids especially understand the temptation to fuel up on caffeine to survive the rest of the day while their child snoozes peacefully in his or her car seat. Then comes the internal battle of waking a sleeping child, undoing the car seat straps and picking him or her up while listening to the ear-piercing sound of wakening offspring, or just running in and out. Leaving a child in the car while running errands has been a hot topic over the past several years, as many children suffered from rising temperatures inside a car while their parents run a quick errand. Every state, country and installation has different rules in regards to leaving your child in the car. 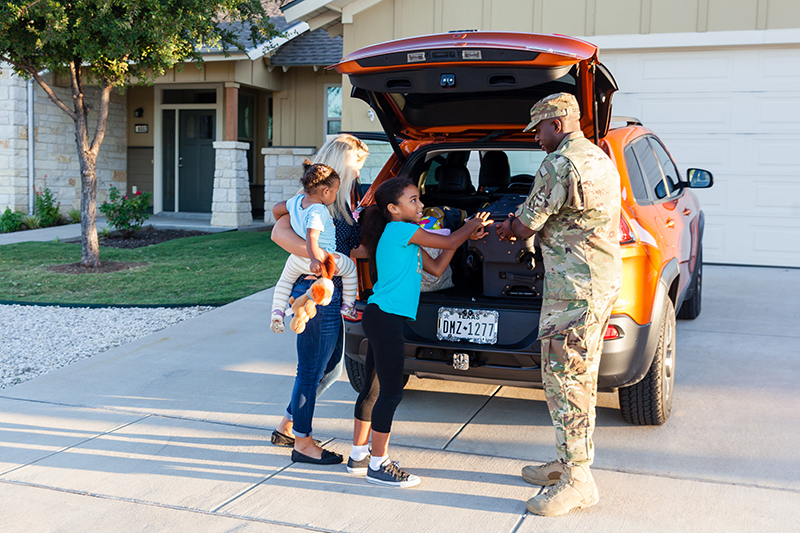 On all U.S. military installations, children under the age of 7 are not permitted to be left in a vehicle unattended for any reason or amount of time. The summer heat can quickly become a hazard for children. Even lower temperatures can be underestimated, as they can rise quickly in a parked car. German laws are less strict and parents may leave small children in the car as long as they are within visual distance of adult supervision. The law leaves it up to the parent to assess the individual capabilities of their children. However, if adult supervision is determined insufficient or the child is in danger, witnesses are asked to inform the authorities and act on their own in case of an immediate emergency. The same is applicable to pets. If an animal is left in the car, even with the windows rolled down, the summer temperatures could cause a life-threatening situation. In this case, witnesses are asked to call the authorities and save the animal if necessary. The proper transportation of pets is also absolutely essential. German law requires pet owners to buckle up their fur babies with a harness or seat belt system or transport them in a secured transportation box. Authorities will not shy away from handing out tickets if those laws are violated. For more information on rules or safety measures, call your local parent central services or contact your local police department.